First year construction students from Chesterfield College were given an exclusive sneak peek at ongoing construction works at Markham Vale, thanks to leading Midlands contractor G F Tomlinson. Markham Vale is a development to create 200 acres of prime industrial, distribution and commercial space just off junction 29A of the M1 in Derbyshire. Due to complete next month, G F Tomlinson is building a 43,000 sq ft headquarters for cleaning, waterproofing and protection products company Grangers International. Led by G F Tomlinson senior site manager Jason Thornhill, the tour gave the students an insight into the day-to-day job of a site manager, an understanding of construction techniques, new innovation within the industry and health and safety. Jason, who joined G F Tomlinson as a trainee in 2004, was joined by colleague Jordan Ward who is one of the company’s fourth year trainees. Jason said: “As a former student myself, I know the benefits of giving students first-hand experience as to what a day in the life of a site manager involves, and one of the best ways to learn is by getting hands-on experience. 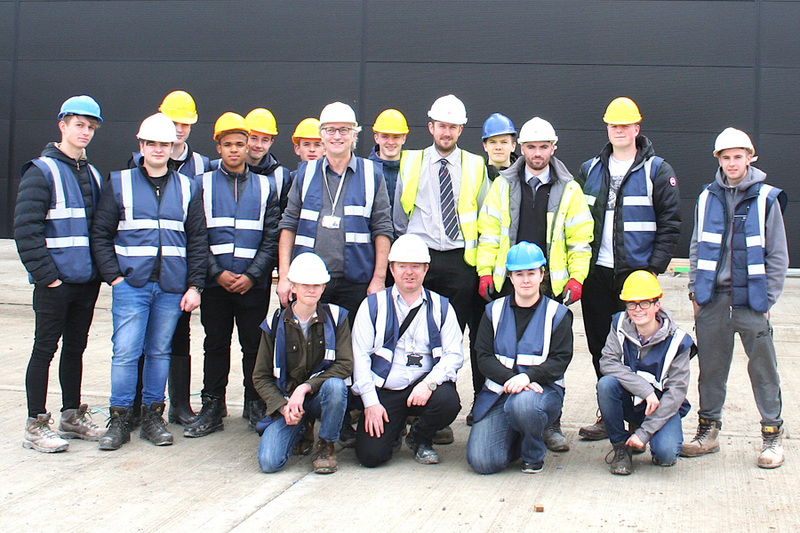 Managing director at G F Tomlinson, Andy Sewards, said: “Grangers International is a high-profile scheme and an excellent example of a busy construction site, which one day, some of these students might be working on something similar. G F Tomlinson has previously worked on two schemes at the Markham Vale site and recently demonstrated its support to the local community by sponsoring a statue as part of the ‘Walking Together’ memorial; which recognises the miners who lost their lives at the nearby Markham colliery.